Now in its fourth year, the Manchester Student Social is now an established event within the Student social calendar. 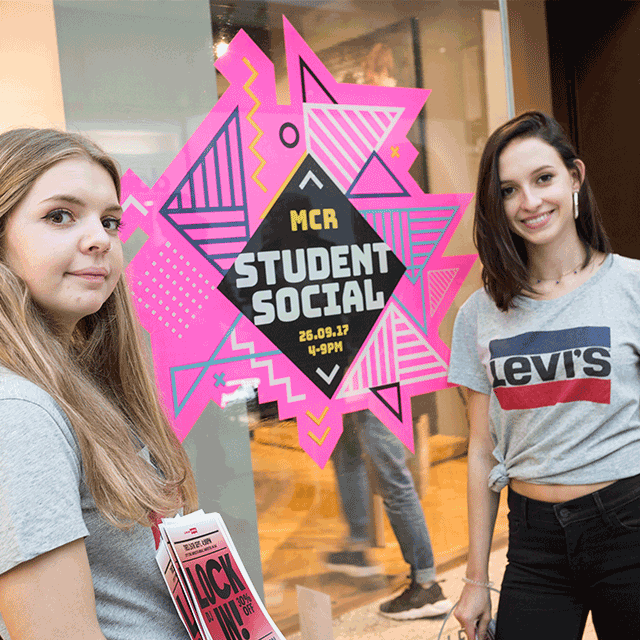 As one of the biggest of its kind within the UK, the campaign is a key event for retailers to reach and engage the student population of Manchester. As an official partner, Mustard Media have been involved from the start, and are proud of the results we’ve achieved so far… With Unidays, Capital FM and some of the UK’s most well loved high street brands involved, how did City Co and Mustard Media convince Manchester based students to save their pennies for the biggest shopping lock-ins of the year? How did we make an event which is focused on increasing footfall and retail sales, appear fun, unmissable and attractive to students? 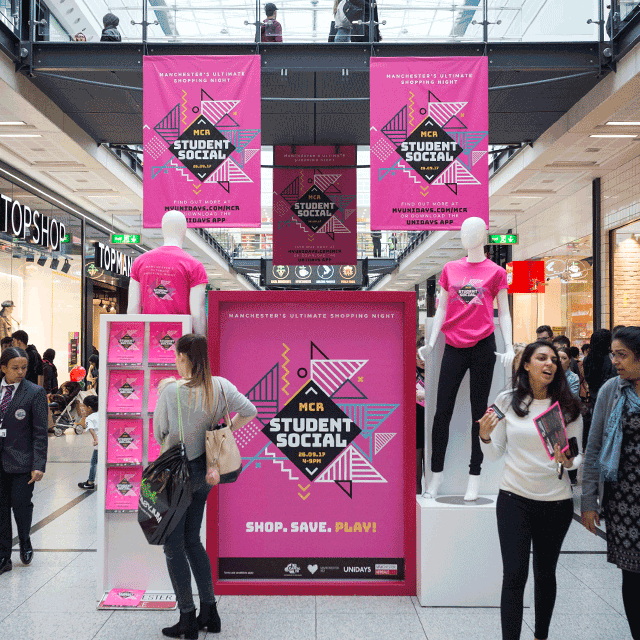 In other words, how did we turn retail objectives into a key event on the student agenda? From working with our clients Manchester Arndale and City Co on this event for the past four years, we’ve fine tuned our understanding of the local student audience; using this to produce creative ideas, content and messaging, including competitions, that ensures we cut through year-on-year. > Brand content from the coolest stores. Topshop, H&M etc. > Student specific. We’re not afraid of posting a meme or two! If we think it will appeal to our audience, we’ll post it! In fact, in the Sep 2017 campaign, one of our most successful posts was a meme! The results are clear, increased social engagement, the continued growth of event attendance and some very happy Students.